How do I make my device a hotspot? Making your smartphone into a hotspot means that you share your mobile data connection with others. They see your smartphone as a Wi-Fi connection. You can enable this on your smartphone. The method will be shown in your smartphone’s manual. Go to 'Settings' and select ‘Mobile network’. Go to ‘Mobile data network’ and scroll down to the ‘Personal hotspot’ option. Enter the correct APN information: web.be, web, and web. Afterwards, you will need to restart your device to save the settings. Your hotspot will then be available and you can share your mobile internet with other devices. 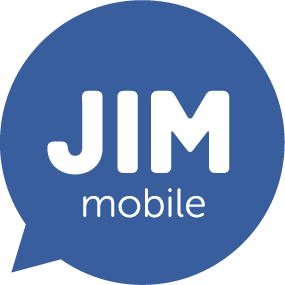 Can I send or receive an MMS using my JIM Mobile SIM card? What is the difference between 2G, 3G, and 4G? Do I have to configure my device to be able to send text messages? How do I add additional data to my JIM Mobile prepaid card? Do I have to configure my device to make a call?